Two Ultimate Fighting Championship middleweight prospects are set to collide this summer. Julian Marquez put foot to face for one of the year’s most brutal knockouts. The title pretty much says it all. Julian Wallace has been accused of hitting his ex-girlfriend and just recently plead guilty to the charges. While we may not know the entirety of the situation, the fact that Wallace has done a number of questionable things in his past takes the sympathy card off of the table. No man should put his hands on a woman and Julian Wallace found out the hard way how being a complete douche nozzle can be when he decided to train with a room full of killers. Take a look at the video after the jump. What’s you thoughts on this turn of events? The post Julian Wallace, Charged With Domestic Violence, Gets KO’d By Team Alpha Male Fighter appeared first on Cagepotato. 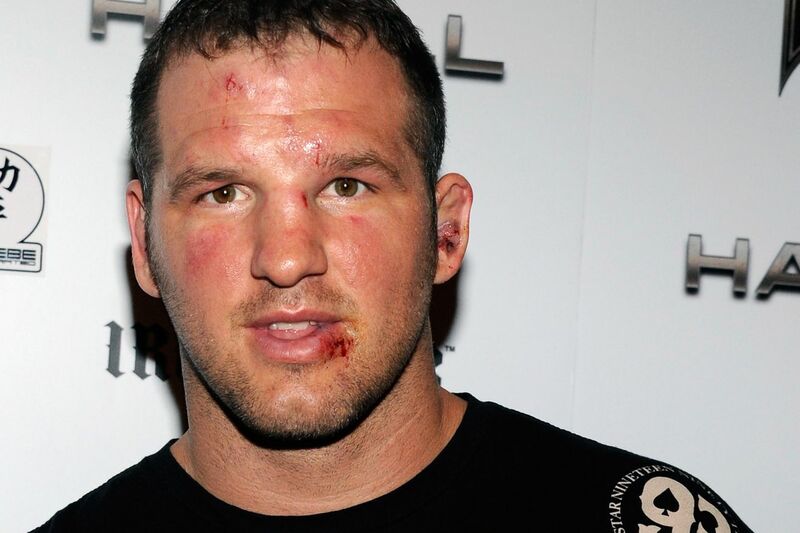 Former Ultimate Fighting Championship (UFC) light heavyweight contender Matt Hamill, who cut his teeth on season three of The Ultimate Fighter (TUF), will continue his comeback tour when he fights Julian Marquez for Combate Americas inside Turning Stone Resort Casino in Verona, New York, on Fri., Oct. 14, 2016. Combate Americas: “Empire Rising” airs live on beIN SPORTS En Español and UFC Fight Pass (more on that here). Hamill, 39, is in dire need of a victory, having dropped three consecutive bouts and five of his last six. The 11-7 “Hammer” was last seen at Venator FC 3 back in May, where he was stopped by fellow UFC veteran Rameau Thierry Sokoudjou. After a brief pit stop in Bellator MMA, Marquez (3-1) transitioned to the ranks of Combate Americas just a few months back. The decision proved fruitful, as “The Cuban Missile Crisis” bombed Idrees Wasi into second-round submission. No doubt nailing “The Hammer” would cement his status as a major player at 205 pounds. Tickets for Combate Americas: “Empire Rising” are on sale now and can be purchased at the Turning Stone Box Office, by calling 877.833.SHOW, or online at Ticketmaster.com. Tickets are priced at $ 75, for cageside, $ 65, $ 50 and $ 35, and may be subject to additional fees.